When you’re 41 games over .500 and have such a commanding division lead that your fans are already debating the merits of having either Tommy La Stella or Chris Coghlan as a left-handed pinch hitting option off the bench in the playoffs, it’s easy to forget the journey that led the Cubs to this point. 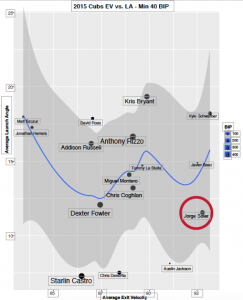 Some fans probably just want to skip ahead to the playoffs, and it’s hard to blame them. 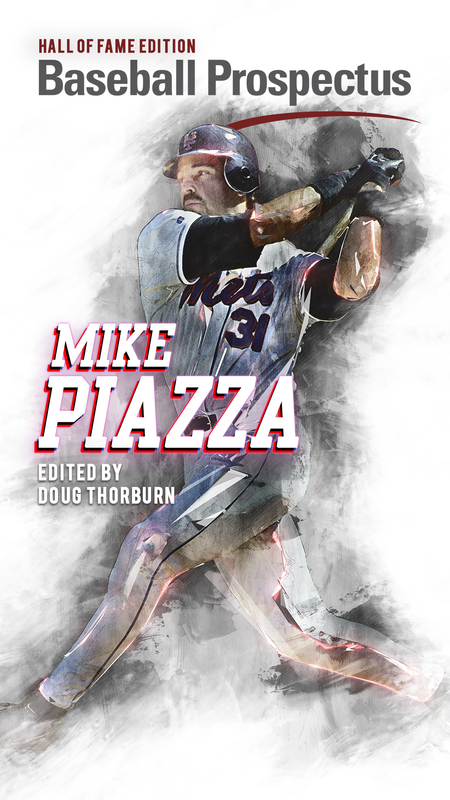 But baseball is a sport that only allows for fleeting success, and so it’s worth reflecting for a moment or two on some areas where success has been found this year. Let’s leave the big stories to the national press. 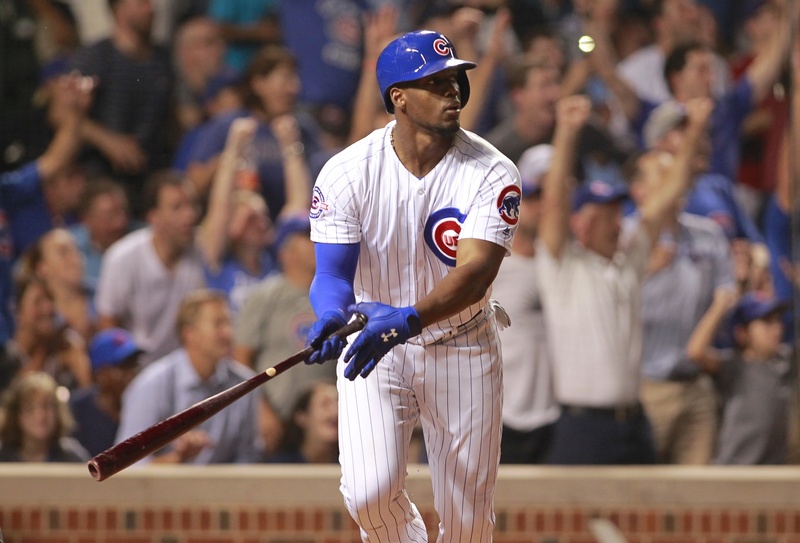 For now, I want to take a closer look at the Cubs’ two 24-year-old left fielders: Jorge Soler and Willson Contreras. Let’s start first with Soler. To fully understand his development to this point you first have to understand the expectations that he entered the organization with. When signed by the Cubs as a 20-year-old out of Cuba in June of 2012, he immediately became one of the Cubs’ highest rated prospects. Despite nagging injury problems Soler, climbed steadily through the system, reached the majors late in the 2014 season, and immediately announced his arrival. But as you can see from his career splits broken up by season halves below, it’s hasn’t been smooth sailing since. Fortunately, despite fighting through injuries in the second half of 2015, Soler was able to make the adjustment to begin to lay off pitches low and out of the zone. 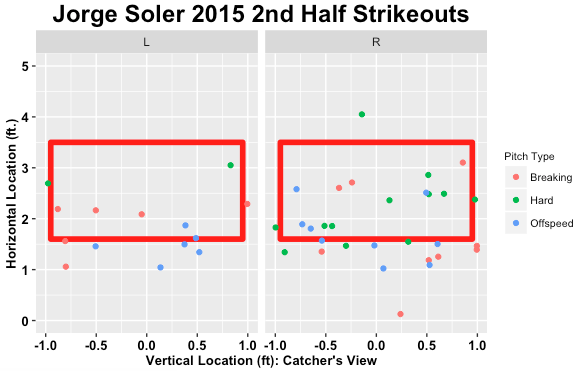 Take a look at the corresponding plots of pitches seen, swing rate, and swinging strike three plots that illustrate Soler’s improvement. 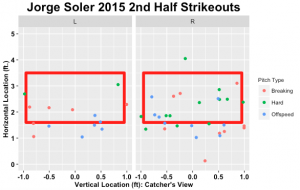 Soler’s ability to refrain from the (predominately breaking and offspeed) pitches below the strike zone allowed him to slightly cut down on his strikeouts, and arguably set the stage for his magnificent October 2015 run. 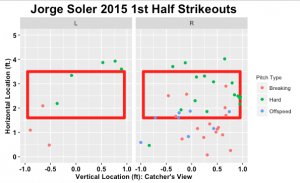 It seemed at that time that Soler was primed for a breakout 2016 season. We know now that that was wishful thinking; despite maintaining a strikeout rate below 24 percent, Soler had a very mediocre 2016 first half before suffering his most recent hamstring injury in June. 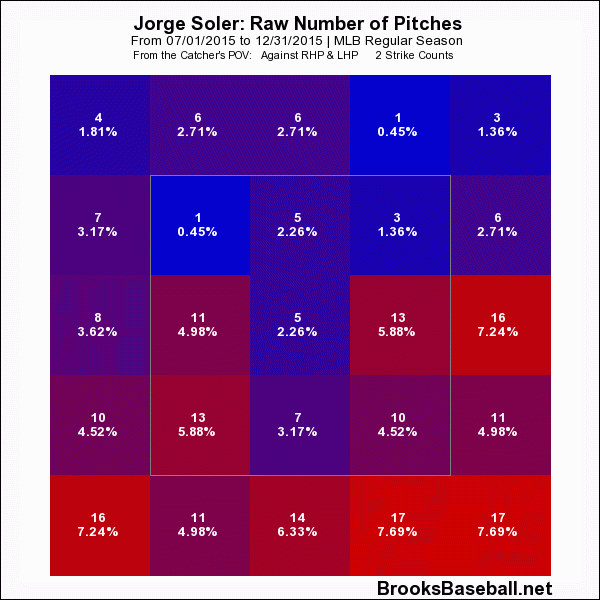 Some of these struggles could have been weather related, or it could have been some combination of Soler learning a new position (LF) while also being a natural slow starter. But as Cat Garcia illustrated in her piece at BP Wrigleyville last week, Soler’s stellar return from the disabled list in August (August slash line: 305/.373/.610) was at least partially due to building on the improved plate approach established during the latter part of the 2015 season, and improved contact rates within the strike zone. 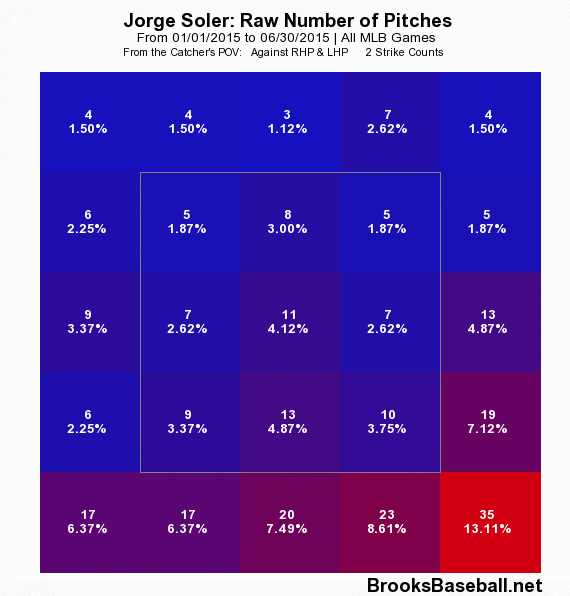 This is extremely good news because, looking at the plots below I’ve derived from 2015 and 2016 Statcast data, good things tend to happen when Jorge Soler puts the ball in play. In each of the two plots above I’ve charted the average exit velocity and average launch angle for each Cubs position player with at least forty balls in play (the more balls in play, the larger the data point). 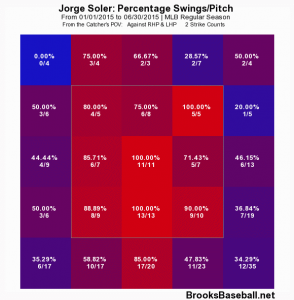 As you can see, despite the lower body injuries he suffered that could’ve sapped much of his swing power, Soler is among the Cubs’ leaders in average exit velocity for both 2015 and 2016. 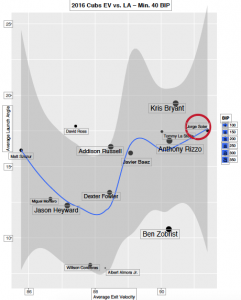 Simply put, the ball jumps off his bat differently than any other Cubs player, including MVP contenders Anthony Rizzo and Kris Bryant. For that reason alone, the Cubs were right to keep Soler during the offseason and past the 2016 non-waiver trade deadline despite the always present injury risk. 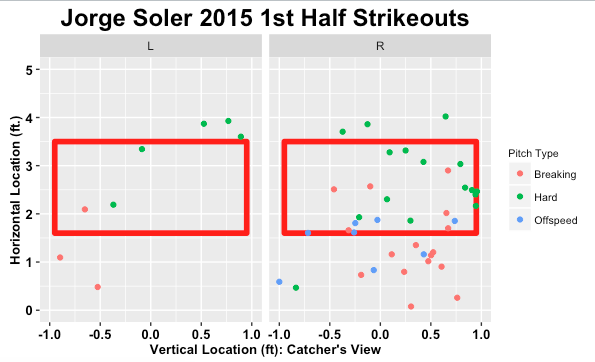 This improvement would normally call for more starts in left field for Soler. 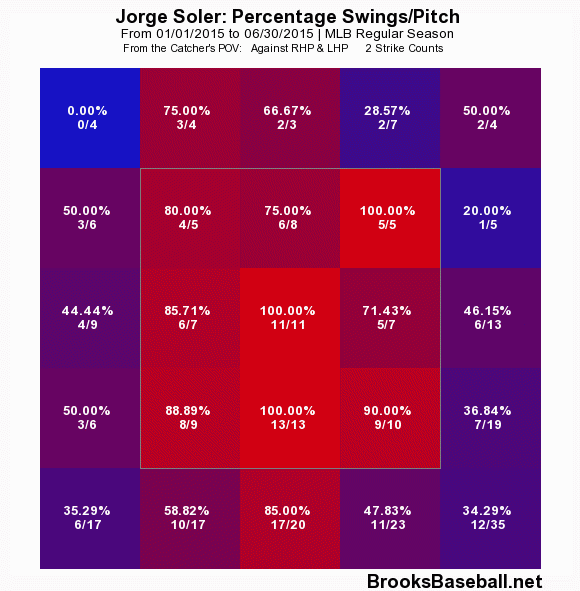 Instead, Soler has unfortunately become victim to the Cubs absurd postion player debpth, given Willson Contreras’s breakout and Kris Bryant’s versatility, it seems that Jorge Soler has traded away one potential platoon partner (Kyle Schwarber) for two. Unlike Soler, whose minor league progress was obsessively tracked from the time he signed with the Cubs in 2012, Willson Contreras snuck up on Cubs fans. Signed out of Venezuela in 2009 as a third baseman, Contreras made the switch to catching full time in 2011 after former Cubs director of player personnel Oneri Fleita saw him catching bullpen sessions for fun. Prior to 2015, you could have made the argument that if the Cubs were planning to keep Kyle Schwarber as a catcher, Contreras would have ranked no higher than third on the minor league catching prospect depth chart behind Schwarber and Victor Caratini. The four home runs Contreras hit in August help out his slash line, but don’t obscure the Statcast data that showed that on average, Contreras was hitting the ball more weakly than he had in his previous month and a half in the major leagues. As you can see from the plots below, Contreras has consistently expanded his strike zone since he arrived in the major leagues, specifically against down and in pitches. While his tendency to chase balls outside the strike zone hasn’t affected Contreras by way of increased strikeouts like they did with Jorge Soler, it’s safe to say it played a part in decreasing Contreras’s average exit velocity in the month of August. Additionally, while I love the spontaneity and aggressiveness of Contreras, having his pitches per plate appearance fall from 4.02 in June/July to 3.86 in August could potentially become a problem in the future as pitchers begin to use his aggressiveness against him. That being said, when you pull the Dikembe Mutombo finger wag out of your back pocket after gunning down one of baseball’s best base stealers less than two months after you made you major league debut, maybe the normal hitting guidelines don’t apply. While there are still legitimate questions regarding both Soler’s and Contreras’s defensive ability, the simple fact that they are each up in the big leagues at 24, making legitimate contributions to the best team in baseball shouldn’t be forgotten. 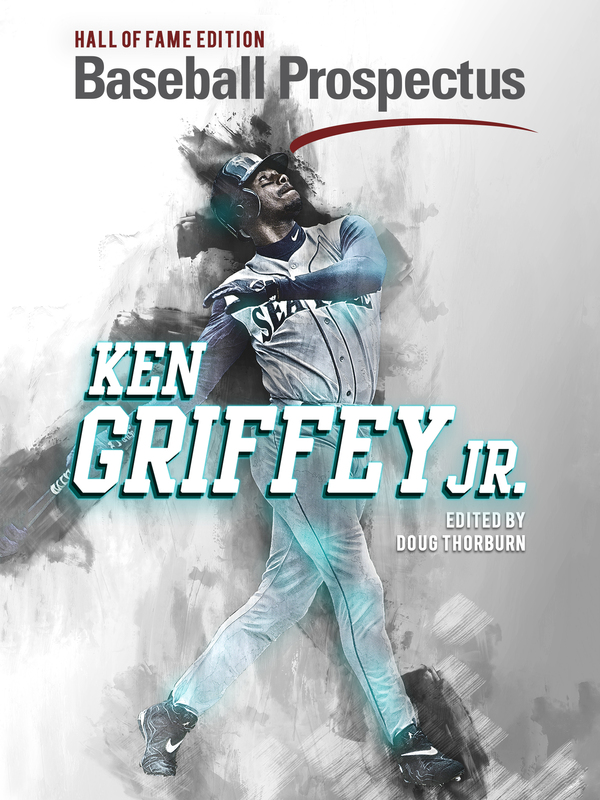 The only drawback to having Kris Bryant (and to a lesser extent Addison Russell) immediately excel at the big league level in virtually every facet of the game is that fans expect every potential prospect to have a similar impact, and when they don’t questions begin to arise over what’s wrong. Can you imagine the outcry if a Cubs prospect had a full year now similar to Anthony Rizzo’s 2013 (slash line: .233/.323/.419)? And therein lies the challenge for Soler, Contreras, Schwarber, Albert Almora, Jr. etc. and the rest of the Cubs organization as the Cubs have now become perennial contenders; how can you continue to develop as a player and take the necessary lumps while blocking all the outside noise that comes with drawing three million fans annually. But that’s a problem for another day, for now I’ll enjoy my daily dose of Willson Contreas pick-off throws and Jorge Soler laser beams. Lead photo courtesy Caylor Arnold—USA Today Sports. Matt Petitt is a consultant in the financial services industry who grew up near and now resides in the Windy City. He likes to think of himself as level headed, but he once ate an entire box of Golden Grahams during a Cubs playoff season-ending loss, so it’s probably best that you decide for yourself. Good god this is a fantastic piece. Well done sir. I love the exit velo v launch angle charts. This is brilliant work. Thanks for the kind words. I usually post supplemental charts with additional Statcast data on Twitter with each article, if you liked these you should check them out.